It is so easy to get wrapped up in the day to day life that sometimes I forget about all the cool things we get to do. Whether it be in our daily lives through PodShow and living in San Francisco or in the little trips we get to take. This photo is a perfect example. I had forgotten to blog about it, but a few months back, Amy, Barry and I went to visit our friend Marty in Breckenridge, Colorado. To be honest, the only place I have ever been skiing before was on the man made snow on the hills of Indiana or Michigan. 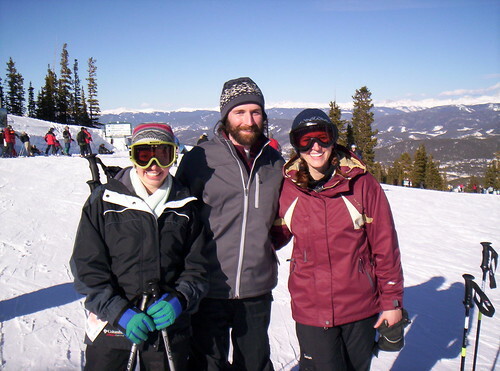 (note, the slopes in Colorado are drastically different!). So here is one of the photos. Of course, click through to see more of the images from the trip.